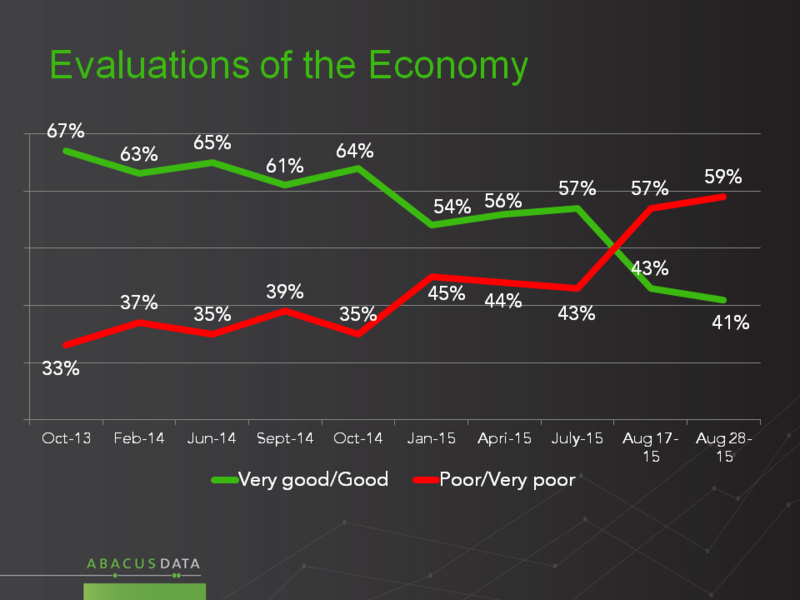 The economy may well become the issue that carries the most weight in this election campaign, and current economic conditions are testing the popularity of the incumbents. 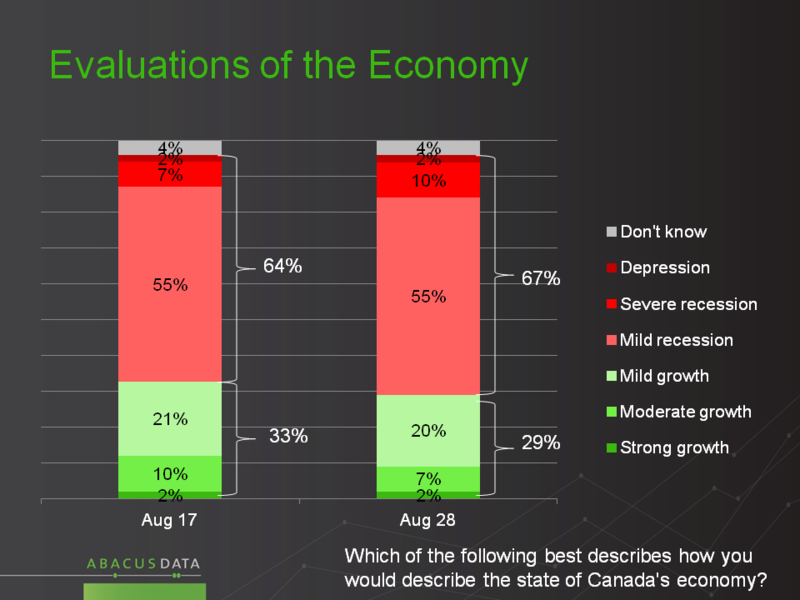 Among those who think the economy is healthy and growing and doing better than our competitors, the Conservatives enjoy solid levels of support, however the economic mood has soured recently, and voters are evaluating whether other parties would provide better economic leadership. 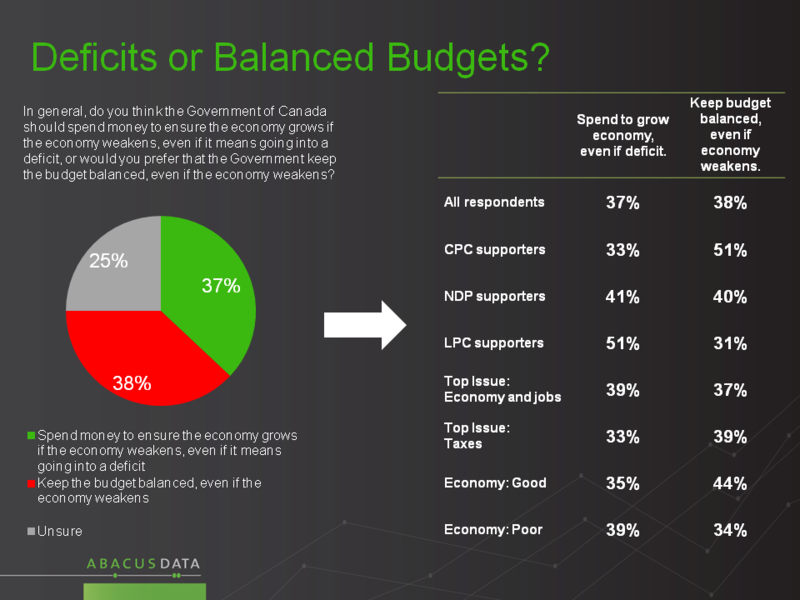 The Conservative Party is seen as best when it comes to buffeting global economic pressures, but other parties come more readily to mind when the topic is how to generate growth in the economy. 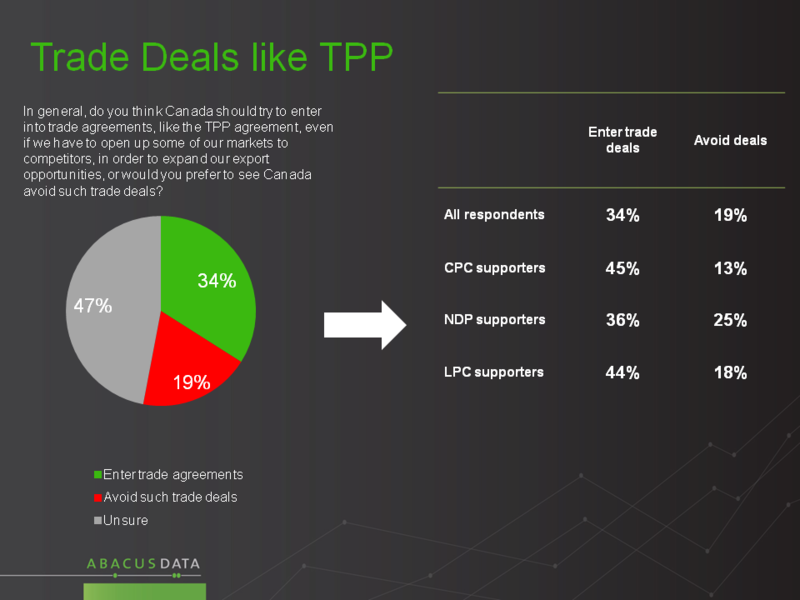 Results on deficit and TPP questions show Canadians remain largely pragmatic, not dogmatic. 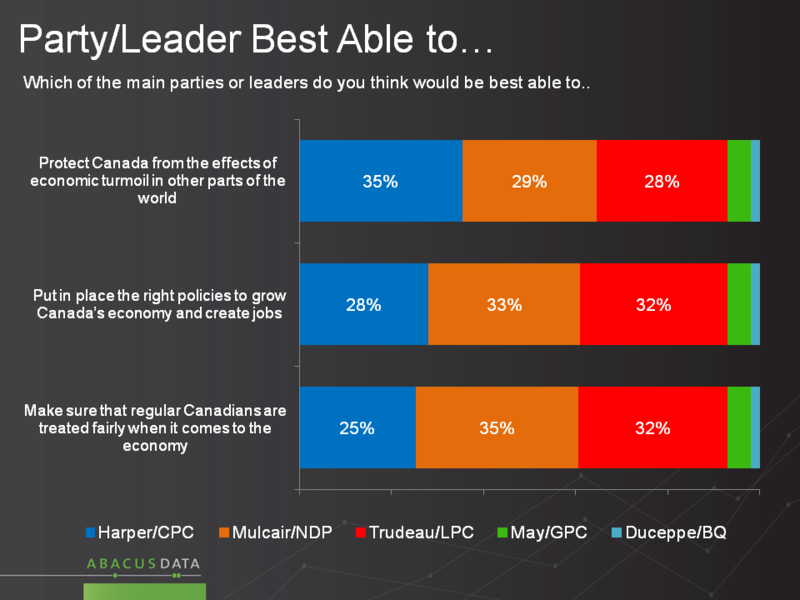 They will support policies they believe might work to improve things, and with three quarters of voters inclined to want change in this election, the conversation is more likely to be about what new measures might help. Right now, this is an election without a defining ballot question. 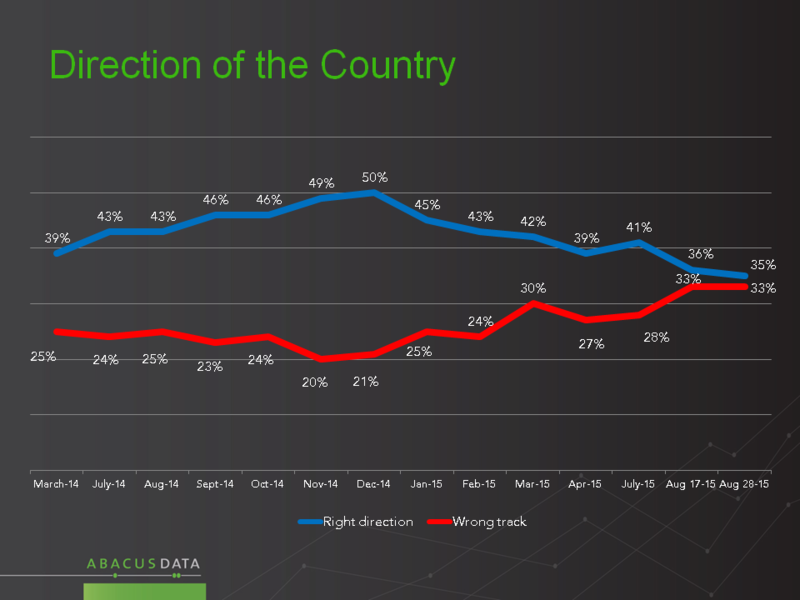 If it becomes an election about how to avoid economic risk, that may play to the Conservatives’ advantage. 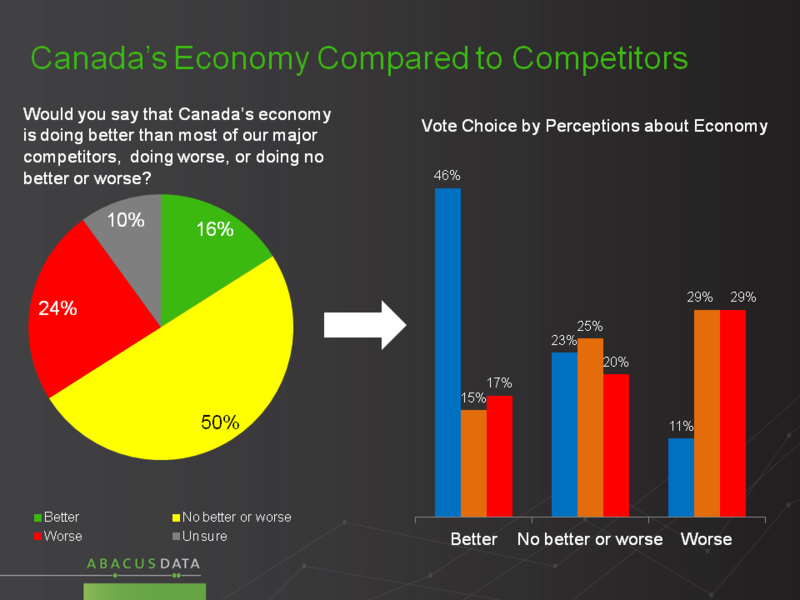 If it becomes about how to create and distribute economic upside, other parties may stand to gain more.